When one is dressed in white you must pose for the audience. 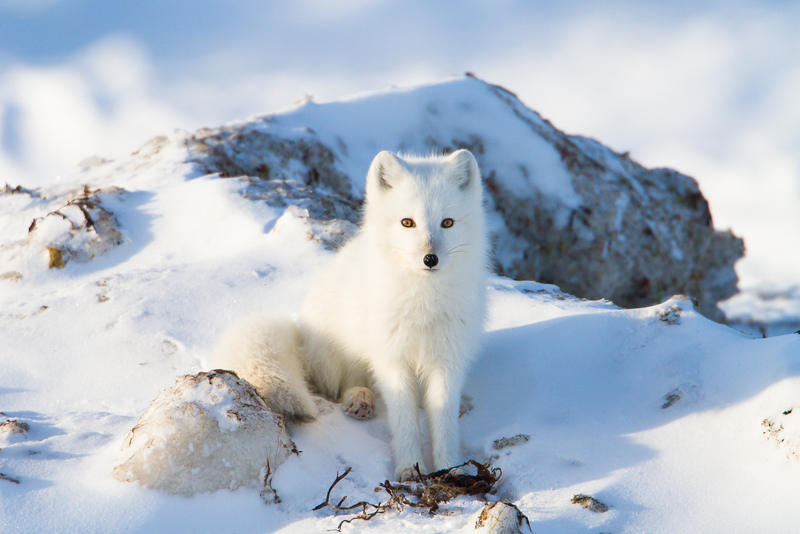 The Artic Fox have a wide variety diet from fish to seaweed and this little one isn't letting his snack out of sight. Photo © copyright by Lance B. Carter.